The Plastic ID Cards are the top of the line! Full-PVC composition means a variety of colors, plus smart chips and mag stripes are easily included. 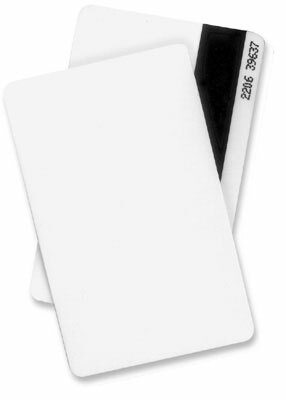 Plastic ID Cards are ideal for ID card printing due to their smooth surface. Datacard media is non-returnable. Please Call for details. 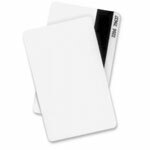 Plastic ID Cards, Cards, Blank, Rewritable Cards, Blue Print, ISO ID-1 (CR80/.030), Rewritable front and blank PVC back (100/pack). Compatible with the SD160 and SD260 ID Card Printer. Plastic ID Cards, Plastic Cards (ISO ID-1 CR80/30 Blank Front/Back, 125 Cards). Compatible with all Datacard ID Card printer. Plastic ID Cards, Cards (Rewriteable ISO ID-1 CR80, Rewrite Font, Mag Back). Compatible with SD160 and SD260 ID Card Printer. CR80/030, PVC Graphics, White, Tray, Pack of 500.